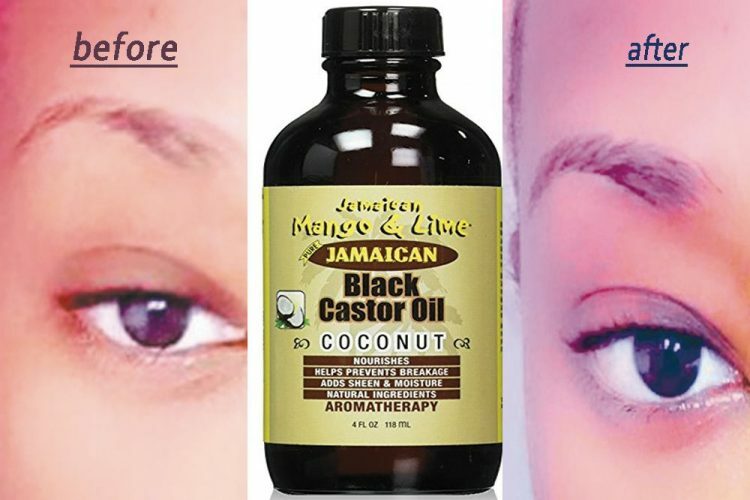 Initially, I purchased a bottle of Jamaican castor oil for my edges, which seemed to be thinning. After all, it is a natural hair must have. I was on a mission to save my edges, as well as stimulate my hair growth, until I noticed a few patches in my eyebrows. “How long was I walking around with these very noticeable patches?â I thought to myself. Curious for answers, I turned to Google and discovered that the hair loss in my eyebrows was a product of stress and not uncommon. This made so much sense, since I had a million and one deadlines to meet. The article also recommended applying castor oil to the affected area nightly, and promised regrowth in about two weeks. Every night for the next three weeks, I brushed my eyebrows downward with a toothbrush and applied the castor oil to them using a Q-tip. During this time, I watched the bald spots disappear and noticed how much thicker and fuller my eyebrows were growing. The Jamaican Mango & Lime Black Castor Oil line carries a variety of Castor Oils in Lavender, Rosemary, Argan Oil and Coconut. I use the Coconut Castor Oil, which smells amazing and has a thick consistency. Castor oil can also be used to combat dandruff, split ends and dry hair.